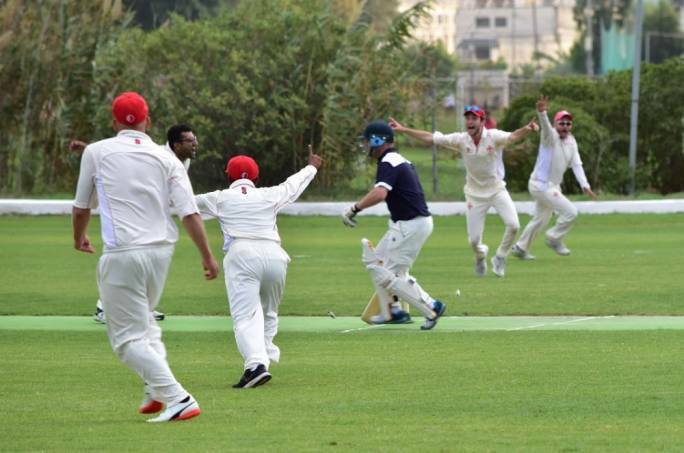 Plenty of cricket over the past four days for the Marsa C.C, who played two series against returning team Ampthill Town C.C (5TH time) and newcomers Honourable Artillery Company CC. The games commenced on Thursday with Ampthill batting first in the twenty over game. Two great knocks from R.Haxell (seventy runs, nine fours and a six) and B.Lewin (fifty seven runs, eight fours and two sixes) took their team ta a commanding total of 161 runs. For the locals Nowell Khosla and Andy Naudi took two wickets each, while Justin Farrin Thorne and Gordon Hewitt took a wicket each. In reply two incredible innings, in particular Nowell Khosla with eighty six runs not out (eleven fours , two sixes) and Puneet Gupta with fifty two runs (six fours) led the home team too victory. Sharpe and Blunt were the only wicket takers with one a piece. On Friday HAC batted first in the twenty over game and scored a moderate 143 runs with six batsmen (Matt Hills 18, Liam Casey 16, Sean Parry 29, Alex Houghton 17, Dan Brooker 15 and Jake Horwood 19) all contributing towards the total. For Marsa Justin Brooke and Sarfraz Ali took two wickets each while Khosla, Bikram Arora and Tony Slater took a wicket each. After the previous day win the home team thought they were going to do the same , alas the overs ran out and only managed to make 140 runs, Khosla again top scoring with twenty five runs. Raja Zubair made twenty one and Simon Lavendar pitched in with nineteen runs. Gupta contributed seventeen runs not out towards the end. N.Runkell took two wickets for HAC while Ed Jones, Sean Parry and Jake Horwood took a wicket each. HAC win by three runs. On Saturday the Ampthill team batted first again , this time a forty over game and totaled 211 runs. N.Lewin made fifty three runs, R.Haxell thirty nine runs not out, Key thirty six runs and B.Lewin thirty three runs. 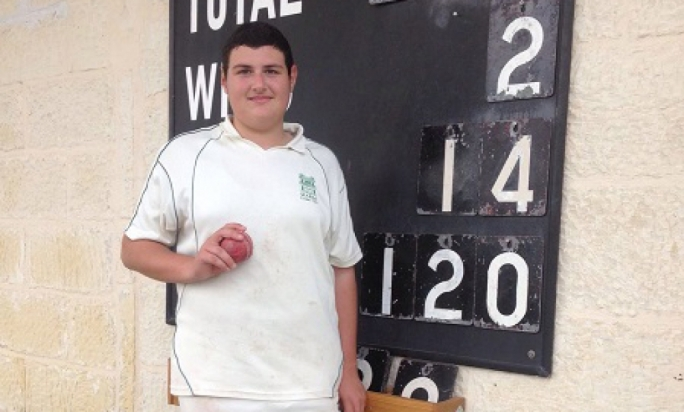 For Marsa Bikram Arora took three wickets, Andy Naudi two and Tony Azzopardi one. An exceptional innings from Andy Mitchell of eighty four runs (seven fours , and a six), forty four runs from the blade of Malcolm Crabbe and twenty nine runs from Andy Naudi helped the home team to victory and a two nil series win. For Ampthill, J.Brady, Marsh and J.Brooke took two wickets each while E.Sharp took one. 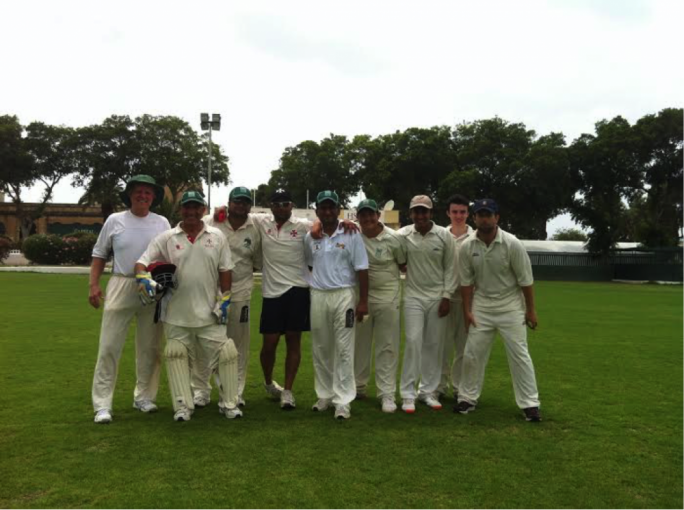 On Sunday the Marsa team fielded first again and this time HAC made a very good score of 275 from forty overs. L.Casey had a great innings of ninety four runs before being dazzled by a Tony Slater ball and being well caught by Lavendar. Dan Brooker scored sixty eight and Sean Parry fifty nine in the run feast. Haroon Majeed was the main wicket taker with two for the home team. The Marsa team started of well enough with twenty six runs from Khosla, forty one from Majeed and twenty from Lavendar. Later in the innings nineteen from Sumair Khan and twenty seven runs (two huge sixes) were still nit enough and the home team were bowled out for 181 runs. C.Porter,R.Hickman,N.Runkell and W.Lowndes all taking two wickets while E.Jones took one in the victory and the series win of two nil. 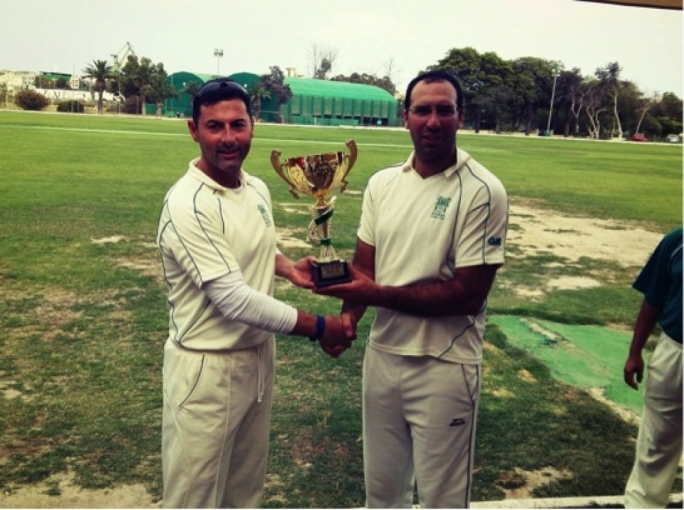 Next weekend the Marsa team take on returning team Pretenders C.C who will be on their fifth tour.